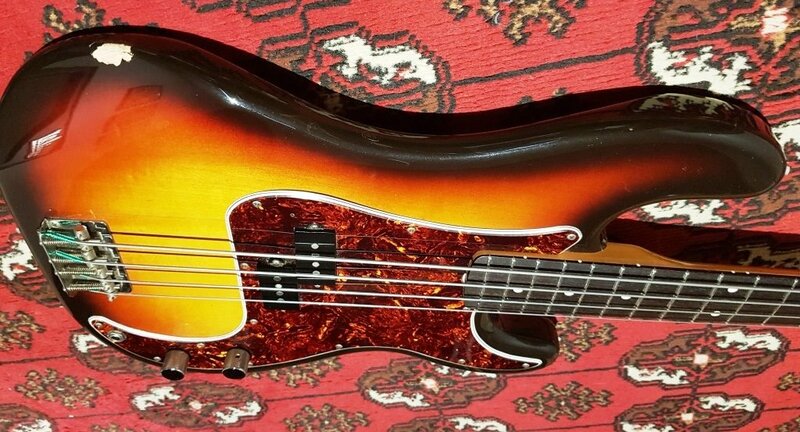 Excellent condition 1983 Sunburst Japanese Vintage series Precision Bass. 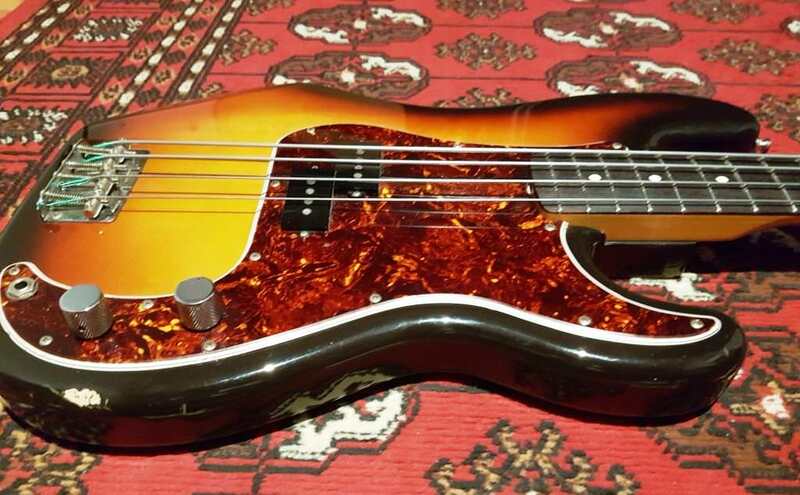 This bass would be mint condition except for a couple of decent size character adding bruises that I've shown in the photo's, apart from those, the finish is in perfect condition, free of scratches etc. 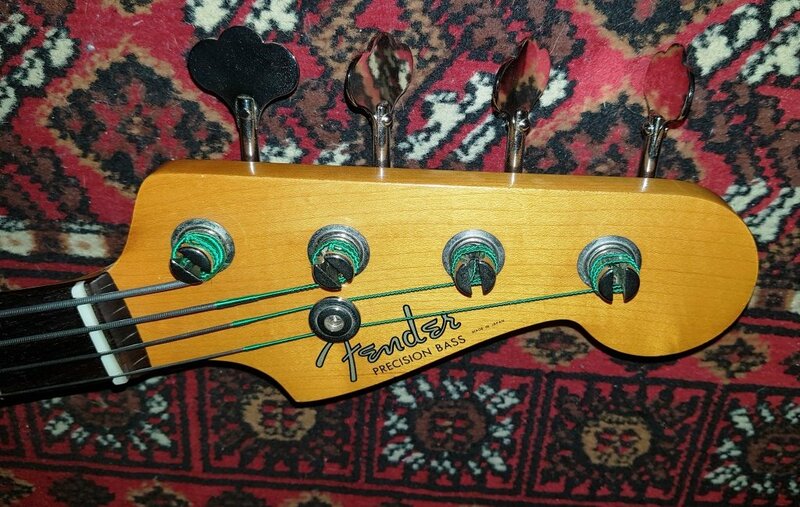 The bass has had a recent re-fret and plex service before I bought from the previous owner, even though the original frets didn't really show much wear at all. Last edited by dogswamp on 13 Oct 2018, 18:48, edited 7 times in total. i got one of these from Terry (OneHandClapping). I'll never sell it. In my eyes its the best bass i own, possibly, bar the Status Series 2000 #38 that I should never have sold, the best bass i have ever owned..
And that is in comparison to the Veillette Citron I also got from Terry, which is a high end boutique bass. I've got one in white. Great basses. I've got an early 82 P JV in white as well and love it. It's on the never sell list! Last edited by onehandclapping on 07 Sep 2018, 19:03, edited 1 time in total. what are you selling mate?